We've taken a peek inside the fundraising machine that could make Employment Minister Jason Kenney a formidable foe when it's time for the Conservative Party to fill the job now occupied by Stephen Harper. But what about all those other possible future leadership contenders in cabinet? 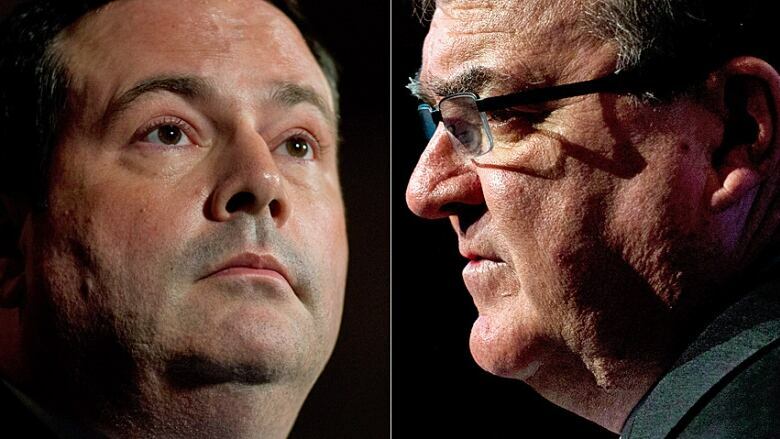 Earlier this fall, we took a peek inside the fundraising machine that could make Employment Minister Jason Kenney a formidable foe when it's time for the Conservative Party to fill the job occupied by Stephen Harper. But what about other putative future leadership contenders in cabinet? Given the recent flurry of all that thinly veiled speculation that Harper may decide not to stick around to fight the next election, it seems a perfect time to crunch the numbers for contenders' local riding associations. For comparison purposes, I've also included numbers for Kenney's Calgary Southeast riding association, as well as the current PM's home turf of Calgary Southwest. I've also included the data for all three opposition leaders with seats in the House of Commons. You can also check out the full spreadsheet here. I've already written somewhat extensively on the remarkable financial support Kenney attracts from Toronto-area ethnic and cultural communities, so I won't go on at length, although it's worth noting that the Calgary Southeast riding association is comfortably ahead of its closest rival on the two most crucial metrics: highest one-year intake to date and average number of contributors. Like Kenney, the finance minister appears to have no difficulty collecting cash from donors in the Greater Toronto Area, although in his case, it's not quite as noteworthy; unlike Calgary Southeast, his riding is within driving distance of the CN Tower. Still, it's clear that being the man with the finger on the pulse of Canada's fiscal arteries does come with a few perks — like, for instance, being able to pull in an astonishing, and, as far as I can tell, very possibly record-setting, one-night haul of more than $51,000 on March 20, 2011, just two days before he would table the final budget of the minority era, and exactly a week before the 2011 federal election got underway. He may rank third on this list, but the affable Québécois minister can claim to come closest to matching Bernier's cross-country reach. Since 2010, the Beauce riding association has raked in over $56,000 from outside Quebec, mostly from Ontario, but nearly evenly split between the GTA and smaller communities, including a sizable contingent of supporters in Ottawa, as well as a light but steady stream of donations from British Columbia and Alberta. Perhaps not surprisingly, the PM's riding falls somewhere in the middle of the curve — the curve, in this case, being the trend line set by some of his most high-profile cabinet ministers, which is considerably higher than the average take for a typical riding association. More than 75 per cent of his donors are from the Calgary area. Also of note, perhaps: In 2012, which, as noted above, was the best year for the Calgary Southwest riding association in the past six years, $46,000, which works out to just over 80 per cent of the total, came from 314 contributors who gave less than $200. For the home riding of a once-and-very-possibly-future leadership contender, the most remarkable thing about the donation records for Parry Sound-Muskoka is the utter absence of anything remarkable in the numbers, which show an average annual revenue that would place it somewhere in the mid-ranks for Conservative riding associations. Virtually all the money comes from Ontario, particularly cottage country — where, of course, his riding is located — and the Toronto area. There's also little to analyze as timing patterns; since 2010, each and every donation is recorded as being received on Dec. 31, the last day of the annual donation cycle. What's most interesting about the numbers for Moore's riding association is the trend line — and, specifically, the more-than-doubling of both total annual donations and number of contributors between 2011 and 2012, thanks in no small part to a sudden burst of generosity from Torontonians that saw over $18,000 in donations make its way west during the first two months of the year. First, a methodological caveat: Due to Leitch's relatively recent arrival on the federal political scene, the above calculations are based on riding association data for 2011 and 2012. Even using that comparatively small data sample, however, with growth like that, Leitch may be poised for a rapid rise through the Conservative fundraising ranks — particularly if she can extend her support base beyond the GTA. Although the jump isn't as dramatic as Simcoe-Grey, Raitt's riding association has also seen a slow but steady increase in contributions, particularly in smaller donations of less than $200. Since winning her seat in 2008, Raitt has also expanded the donor base from a modest 71 contributors in 2008 to 458 in 2012. While donations have, for the most part, been on an upward swing for Raitt, Moore and other potential contenders, for Peter MacKay's Nova Scotia riding association, those same numbers have been going in the opposite direction since 2011, when the annual intake from contributions dropped from $20,000 to just over $9,000, and from 67 contributors to just 27. Although the donor base grew in 2012, total contributions fell by another $2,000. In his pre-2011 heyday, however, MacKay was bringing in thousands of dollars from southern Ontario, particularly the GTA but with a good-sized contingent from London, with money also flowing in from coast to coast : St. John's, Mount Pearl, Calgary, Edmonton, Richmond and West Vancouver. Interestingly, even the post-crash numbers suggest that MacKay may still have cross-country appeal — more than a third of the $7,000 the riding association received in 2012 was from outside the province. Finally, for still more context, here's how the three main opposition leaders stack up against senior cabinet ministers in raw local fund-raising power. Not surprisingly, the Green Party leader is far ahead of the rest of the pack in both annual intake and number of donors, although it's worth pointing out that more than two-thirds of those supporters kicked in less than $20 in total. Trudeau's Montreal riding hit an all-time high in 2008, but took in only half that amount the following year, and plunged to just over $12,000 in 2012, when the local MP was, of course, likely somewhat preoccupied with his leadership campaign. He also seems to draw from a mostly local donor pool, with most of the money coming from the Montreal area. Finally, despite being home turf for New Democrat and Opposition Leader Mulcair, the Outremont riding association has reported taking in less than $10,000 in donations for every year but 2010, which suggests that Mulcair has focused his efforts on raising money for the party as a whole instead of filling the coffers of his local outpost. Once again, for the data behind these numbers — and much, much more — check out the full spreadsheet here.